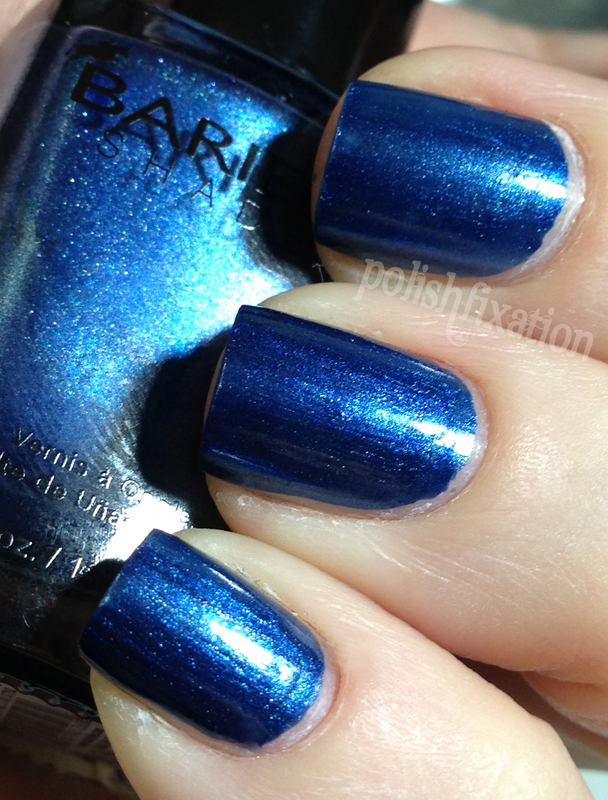 Today I have swatches of one of Barielle's more recent collections, Runway Fever. It's a collection of five "Fashionably Fabulous Hues". Had to start off with Erica's Pencil Skirt since it has my name (though alternately spelled, as I am Erika...with a K!). 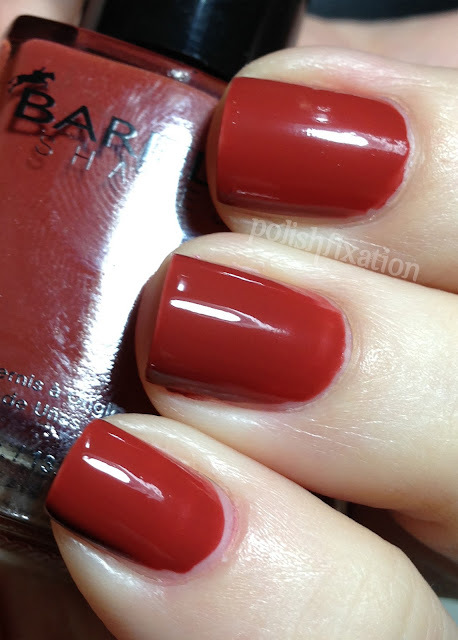 I love vampy blood red shades as this one, especially with the great Barielle formula, I feel this is a must-have if you love this sort of shade. 2 Coats, but almost stuck with one. Alli's Lace Coverup is the sort of color I don't typically like, or I don't like to like...if that makes sense... But I love the way it looks on me, and think I could actually wear this. I usually don't like lighter shades of pink, and kind of stay away from them, but I can't deny when something just looks good. And the formula was perfect. 2 Coats. One Shade of Grey, oh how I love thee. I am obsessed with greys these days, as many of you know, so this one was right up my alley and did not disappoint at all. 2 coats. Ahhh blue...Jordana's Skinny Jeans is a gorgeous shimmery blue metallic! I so love colors like this one. Only needed 1 coat. Lastly, we have Rusted Vintage Boots. This color isn't really my personal cup of tea, but that is only do to with the color, not the polish itself. The formula was just as good as the others, 2 coats. If you like these sort of rusty colors, you will love this one. Barielle really doesn't disappoint with their polishes. I love this collection just like the others I have tried out. Ooohhh...I love One Shade of Grey and Skinny Jeans! I love your blog and your naild-nail arts! :) You have a really nice blog honey.